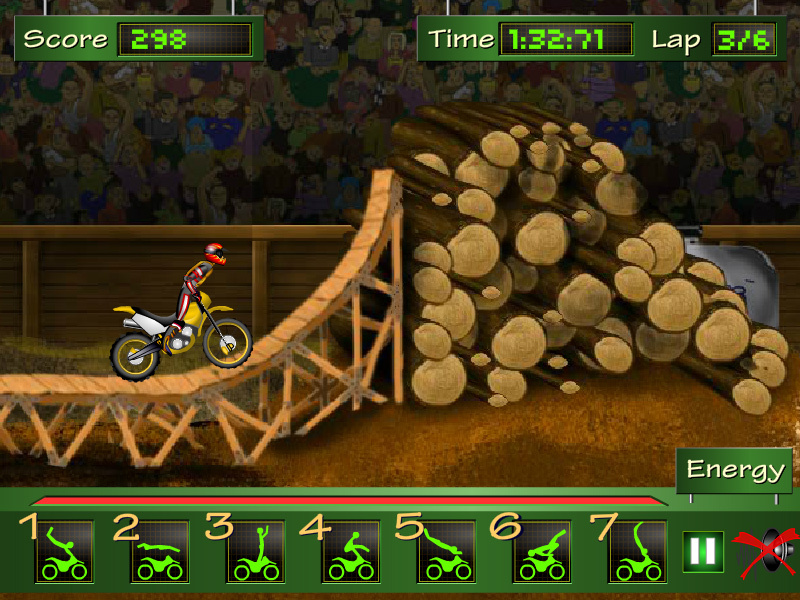 "Motocross" is a small online game about the motocross freestyle sport. Use arrow keys and make as many acrobatic moves with the motorcycle. Free online game. Sports learning game. How to play Motocross Freestyle. This is a classic sport game made by addictinggames.com. Use number keys 1-7 to make a move. 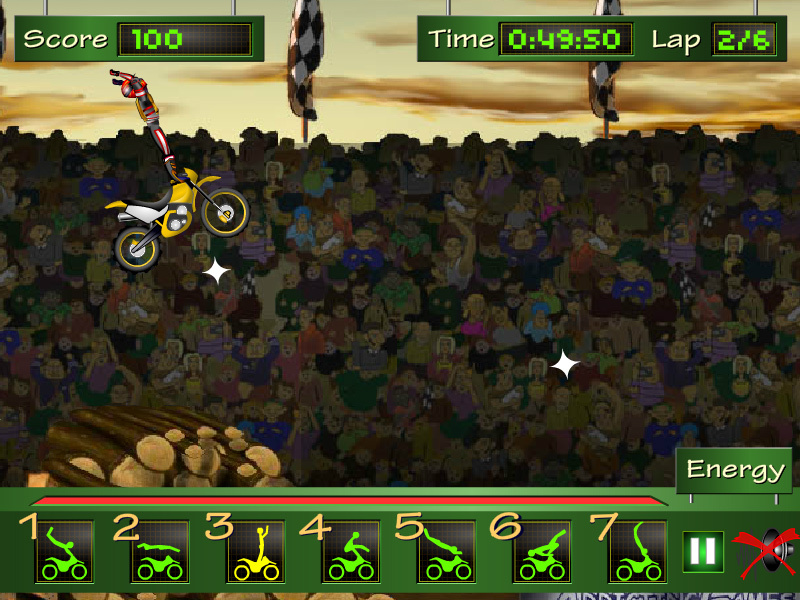 Detailed rules of the real motocross freestyle sport are described in the Class subjects section. Know the motocross freestyle sport. Class subject: Motocross Freestyle Sport. Freestyle Motocross (FMX), a relatively new variation of supercross, started out by the South African champion, Marco Urzi, does not involve racing and instead it concentrates on performing acrobatic stunts while jumping motocross bikes. The winner is chosen by a group of judges. The riders are scored on style, level of trick difficulty, best use of the course, and, frequently, crowd reactions. FMX was introduced to the X Games and mainstream audiences in 1999. Labels: Sport Games , Driving Games , Arcade Games , Free Online Games.